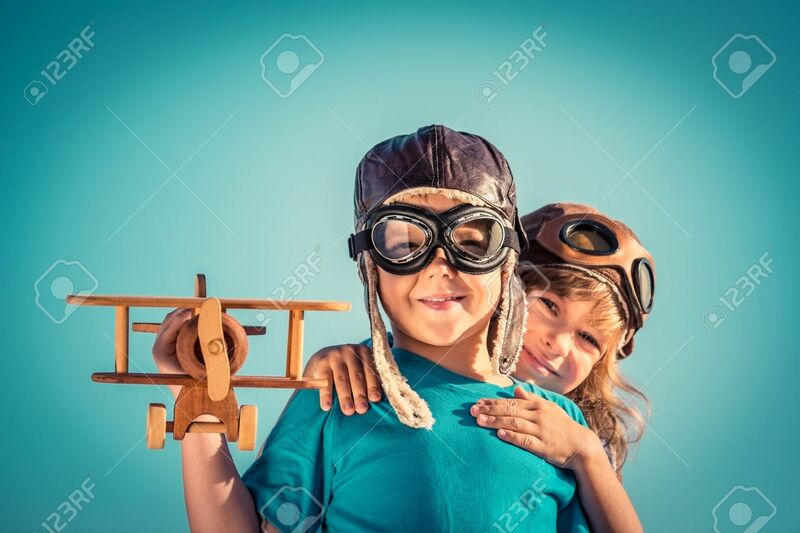 Happy Kids Playing With Vintage Wooden Airplane Outdoors. Portrait Of Children Against Summer Sky Background. Travel And Freedom Concept. Retro Toned 免版權照片，圖片，畫像及圖片庫. Image 36116281.